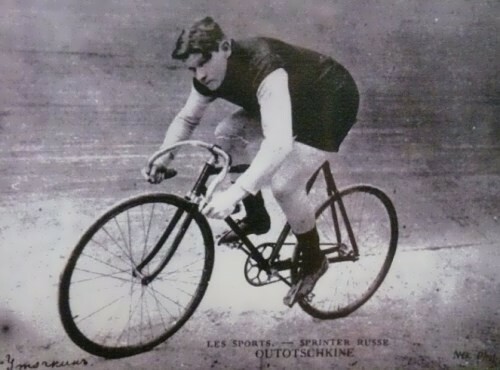 Best cyclist of the Russian Empire, a pioneer of aeronautics, yachtsman, boxer and footballer. Sergey Utochkin was a real Russian superman. His life was bright, but tragic. The boy was born on July 12, 1876 into a family of Odessa merchant. His parents passed away, so the boy was raised up by foster carers. For some time he lived with Krause, school teacher, alcoholic and many children’s father. One day Krause hanged himself in the attic. His wife found a dead husband went mad with grief. She stabbed her own children. Utochkin was saved by a miracle. Obviously, that’s why Sergey was interested in extreme sports and put himself in mortal danger. At the age of 15 Sergey left the Commercial College and decided to become an athlete. He began his career with cycling. For more than 15 years he remained unbeaten Russian cyclist. He became the champion of European competitions and constantly tried to expand the boundaries of what’s possible. You know, the man ran a race with the tram, competed with a racehorse, dived, did martial arts, skydove and became one of the most famous pilots of Tsarist Russia. On December 19, 2011, the United Nations declared October 11 as the International Day of the Girl Child. And I’d like to tell about seven Russian girls who became famous. 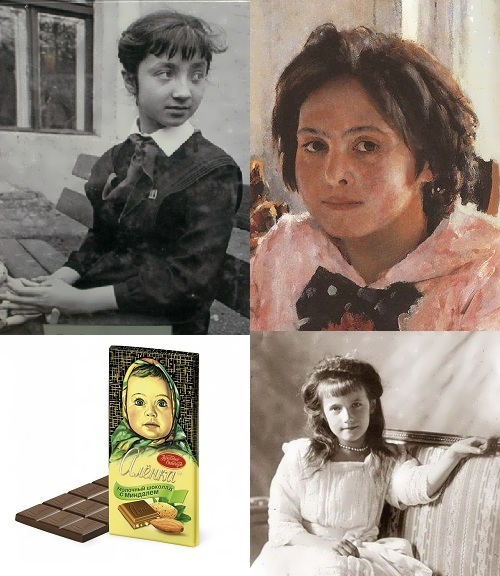 Grand Duchess Anastasia, daughter of Nicholas II and Empress Alexandra Feodorovna, will forever remain the girl in the memory of Russian people. Anastasia, along with her entire royal family, was canonized as a martyr. During the First World War she was only fourteen years old and could not be a nurse, as her elder sisters and mother. Then she became the patroness of the hospital, gave her own money to buy medicine for the wounded, read aloud to them, gave concerts, wrote letters to their relatives, and played with them to distract from the pain, sewed clothes. She taught illiterate soldiers to read and write. On July 17, 1918 Anastasia and her relatives were shot down in Yekaterinburg. Many years after the execution of the royal family there were rumors that Anastasia survived. There are films and cartoons about Anastasia Romanova’s fate. For more than 50 years, American sculptor and historian George Stuart creates wax models of historical figures. 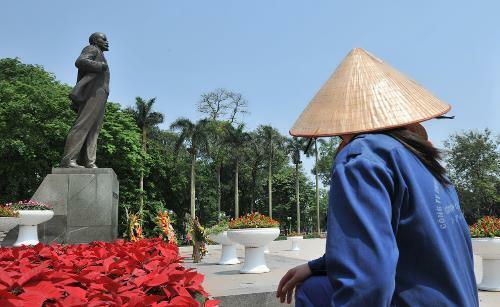 He has made four hundred sculptures of famous and infamous people of world history. His sculptures are very realistic and the artist also writes monologues about the life and times of the Historical Figures. His works are exhibited in museums and can be found in private collections. George works in his studio located in Ojai, California. I’d like you to look at Russian historic personalities. If you want to meet more well-known people and learn about the history visit author’s official site: www.galleryhistoricalfigures.com. There are famous historic persons from France, China, England, Italy and America in his collection. On October 24, 1745 Empress Elizabeth of Russia ordered to bring cats to catch mice in the royal palace. Cats are very cute animals. We can see a lot of pictures of them on the Internet, we keep them as pets, and there are a lot of monuments in different cities and towns all over the world dedicated to them. 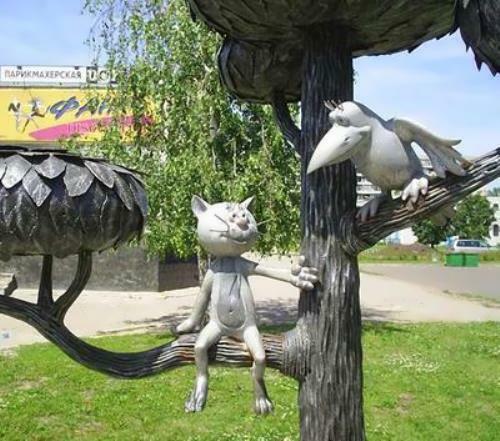 But let’s talk about the cats famous in Russia. On October 24, 1745 Elizabeth, who was very afraid of rats and mice lived in the royal chambers, ordered to bring in cats – mouse hunters to destroy rodents. It was the governor of the Khanate of Kazan who gave the Empress the piece of advice. He promised to catch and send to St. Petersburg 30 (other sources say 300) cats rat-catchers. It is known that Kazan cats were very large and had wide muzzles. Only male cats were sent to the Russian capital. At first they lived in a small palace and then in the Winter Palace. Michel de Nostredame or Nostradamus (December 14, 1503 – July 1, 1566) is most famous for his book Les Propheties, which consists of rhymed quatrains (4-line poems) grouped into sets of 100, called Centuries. 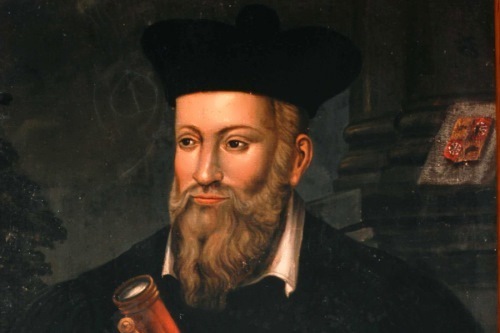 Nostradamus predicted many events in world history, including the French Revolution, the atom bomb, the rise of Adolf Hitler and the September 11 attacks on the World Trade Center. On March 1, 1555 the first book of Nostradamus’ predictions was published. There are prophecies about Russia in it. Nostradamus lived in France and he had almost no opportunity to get any information about the internal affairs of Russia. 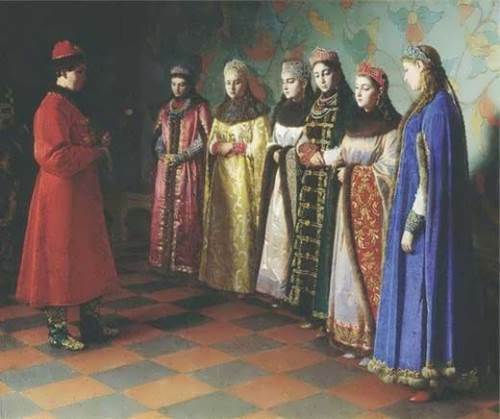 However, the prophet was able to predict the events of the reign of Ivan IV Vasilyevich the Terrible, some of them come true during his lifetime. They were primarily about priest Silvestre’s reforms and changes. Vladimir Lenin, Russian revolutionary, was included on a list of 100 prominent people of the 20th century by Time magazine. There are a lot of monuments to the great leader of the proletariat, both in Russia and abroad. Many of them were destroyed, but some can be seen today in different countries. The town has the status of historical settlement. In addition to the glorious history and traditions of the Old Believers, Noginsk has three monuments to the leader of the world proletariat here. There is the world’s oldest stone grandfather Lenin among them. It was local craftsman Fyodor Kuznetsov, who created the monument. They were going to open the monument on the first day of 1924, but due to heavy frost the construction was delayed. Ivan the Terrible is the first tsar of all Russia, known for his barbarous and incredibly harsh methods. Despite this, his reign is considered significant for the state, which thanks to the foreign and domestic policies has become larger on its territory. The first Russian ruler was an overbearing and very evil monarch, but he was able to achieve much in the international political arena, supporting in his state a total one-man dictatorship full of executions, opals and terror for any disobedience to the ruler. Ivan Vasilievich was born on August 25, 1530 in Kolomenskoe near Moscow into the family of Grand Duke Vasily III Rurikovich and Lithuanian Princess Elena Glinskaya. He was the eldest son of his parents, so he became the first heir to the throne of his father. When Ivan was 3 years old, Vasily III fell ill and suddenly died. Five years later his mother died and the boy became an orphan at the age of 8. The young monarch spent his childhood in the atmosphere of palace coups, a serious struggle for power, intrigue and violence, which formed a hard character. The trustees paid no attention to the boy, ruthlessly killed his friends and kept the future king in poverty. So, he became aggressive and cruel.